A poorly-disguised news story since Chevrolet’s announcement that the Impala will not be the future NASCAR stock car in the 2013 Sprint Cup and beyond, we were simply waiting for the rear-wheel drive Australian-based sedan (the is currently being imported as a police interceptor called the Caprice PPV) to show up in racing form. On Thursday, a test session at the Homestead-Miami Speedway in Florida revealed the new vehicle Chevrolet stock car challenger. will be calling the SS (Super Sport). Showing up as a checkered-covered test vehicle, the Chevrolet SS stock car is the future successor to the hard-fighting Impala in NASCAR‘s most premier competition. In accordance with NASCAR rules that race vehicles must be production car based, this stock car will be the track-oriented sibling to a road version of the Chevrolet SS. This will be the first time that the SS will stand alone in as a production model nameplate in the Chevrolet line-up after being associated as a high-performance trim level designation. 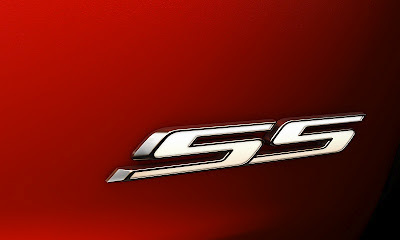 The SS badge was first conceived in 1957 when Corvette engineer Zora Arkus-Duntov was developing a sports car designed for racing at the 24 Hours of Le Mans. Ironically, the SS badge first production car application was on the 1961 Impala. After 52 years of being linked to Chevrolet’s performance character, the SS sedan will show up in the United States as a V-8 powered, rear-wheel drive four-door as a 2014 model year vehicle. Chevrolet will commence limited production of rear-wheel driver sedan based on the same mechanical architecture as the upcoming VF Commodore. President of General Motors North America Mike Reuss gave light to the auto brand‘s position saying, “As a passionate race fan and performance enthusiast, I am thrilled that Chevrolet will deliver a true rear-wheel-drive NASCAR racecar in the SS that is closely linked to the performance sedan that will be available for sale,”. Chevrolet has yet to specify how limited road car production of the SS sedan will be. The practice of creating limited production vehicles for race competition is far from new in the motorsport world. In NASCAR alone, the Plymouth Superbird, Dodge Daytona and the Ford Torino Talladega were all created as production cars with the effort of furnishing the most effective racing package for showcasing their brand on the track. Chevrolet had involved themselves in producing a tailored production car for stock car competition. The Chevy Monte Carlo SS Aerocoupe was launched into competition in 1987 as a vehicle with a more aerodynamically-perfected rear window. Dale Earnhardt drove the NASCAR version of the car to a 1987 Cup Series championship. The Chevrolet Impala has been in victory lane four times already this season with Tony Stewart, Ryan Newman and most recently Jimmie Johnson piloting the brand to a 2012 NASCAR Sprint Cup Series wins. With the development of the Chevrolet SS, Bowtie fans are excited to see if the 2013 race car will continue competitive momentum.